Power Ledger (POWR) is a blockchain trading platform that enables consumers and businesses to sell their surplus energy without using a middleman. The project was launched in May 2016 with the goal of connecting people living in high-density housing areas to a distributed renewable energy economy. By doing this, they are hoping to re-invent existing electricity networks and provide an incentive for the connection of distributed energy resources (DER). Power Ledger has already experienced some successes. In August 2016, it deployed and tested Australia’s first P2P energy trading network. 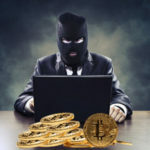 It followed up that success by building the world’s first P2P blockchain-based energy trading platform on a regulated distribution network in New Zealand. POWR was launched in a pre-sale on August 27, 2017. Power Ledger sold over 100 million tokens and raised $17 million AUD. The public ICO was held on October 6, 2017, and reportedly raised an additional $17 million AUD from 15,000 contributors. The ICO was biggest crowd funding effort ever held in Australia and the 14th highest in the world. In the months following its release, the value of POWR went through the expected ups and downs of a new token. It was first listed at ~$0.05 USD and its price shot up to reach an all-time high of ~$1.84 with a ~$663 million USD market cap in January 2018. The price has since stabilized and now hovers between $0.20 and $0.50 USD. 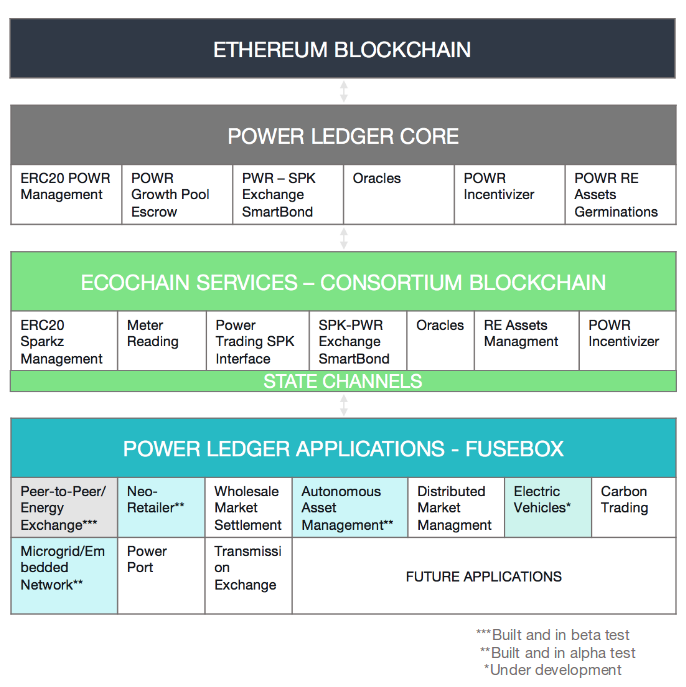 There are two core players in the Power Ledger ecosystem: application hosts and consumers. Application hosts are local energy sponsors who on-board consumers by providing the hardware and software needed to port them into the Power Ledger network. To join the network, users receive a registration email from their local application host with a link that takes them to a page where they can create a user profile and password, and that’s it. Once a user is logged in, they can see their energy consumption and trading transaction details. – Providing consumer protection and governance through Smart Bonds technology. – Facilitating access to use the platform. – Providing loyalty rewards to users. – Connecting to renewable energy organizations and charities. – Providing access priority to asset generation events. Electricity sold on the platform is traded using Sparkz. This token is priced, issued, and redeemed in the local currency of the platform participant. For example, 1 Sparkz = 1 AUD in Australia. Sparkz tokens don’t have a fixed supply; they are generated as required and are destroyed when redeemed. Application hosts are required to escrow POWR tokens proportionate to the amount of Sparkz they receive from the platform. The POWR tokens are held in “smart bonds” and can only be unlocked when the Sparkz tokens are redeemed. Smart bonds are Ethereum smart contracts designed to protect consumers if an application host fails (i.e. bankruptcy). In such an event, consumers can return their Sparkz directly against the POWR tokens provided as surety. The amount of POWR tokens locked up in smart bonds and the amount of Sparkz created will be transparent to all platform members. Sustainability is one of Power Ledger’s core values. The developers want to do everything they can to minimize the amount of energy consumed by a proof-of-work algorithm, so they designed Power Ledger as a hybrid of a public and consortium blockchain. The project will eventually transition to a public blockchain with a proof-of-stake consensus mechanism. The public layer uses the Ethereum blockchain. This layer operates independently and is outside of Power Ledger’s control, but it provides the network with security and smart contract functionality. Through POWR tokens, the public layer provides a mechanism for transacting with the consortium and application layers. The consortium layer uses the EcoChain blockchain. EcoChain is a private proof-of-stake blockchain that was developed in-house by Power Ledger. It has been live tested for stress in high-load energy markets and has provided valuable insights into the use of blockchain technology for energy data collection and settlement. – The smart bond contract. – POWR to Sparkz exchanger for application hosts. – POWR growth pool escrow services for beneficiaries. – Customer incentives and loyalty program management. – Renewable energy asset generation and participation events. – The implementation of smart contract oracles that gather external information for internal operations. The application layer seen above is like the fusebox. It’s where the magic happens. Power Ledger’s P2P trading application allows direct trading between consumers with or without the inclusions of market operators, transmission network operators, or retailers. The trading application is designed to work with existing market structures and regulations. It can evolve and continue trading when policy changes are implemented in the operating environment. Since all energy transactions are performed with Sparkz tokens, the trading application can be applied across different countries even if they have wildly different electricity pricing structures. Power Ledger isn’t the only blockchain project trying to revolutionize the energy industry, but it is one of the early pioneers in the distributed energy trading space. It stands out because it has a solid team made up of experts with experience in both electricity and blockchain markets, and it has a working product that has been tested in real-world environments. POWR tokens can be traded on a number of large exchanges including Binance, Bittrex, Bithumb, KuCoin, and Bancor Network. POWR is an ERC20 token so it can be securely stored in any wallet that supports the standard. Popular online wallets that support ERC20 tokens are MyEtherWallet (MEW), Jaxx, MetaMask, and Exodus. Hardware wallet options include Trezor and the Ledger Nano S.
Power Ledger has enough funding to keep it going for at least the next few years. In addition to the $34 million AUD it raised during the ICO, Power Ledger has also received several grants for examining the potential of blockchain technology in integrating distributed energy systems. The project has had enough accomplishments since its launch to help it maintain good liquidity. It is without a doubt a promising venture with legitimate backing, and it will be interesting to see how it fares in the coming years.